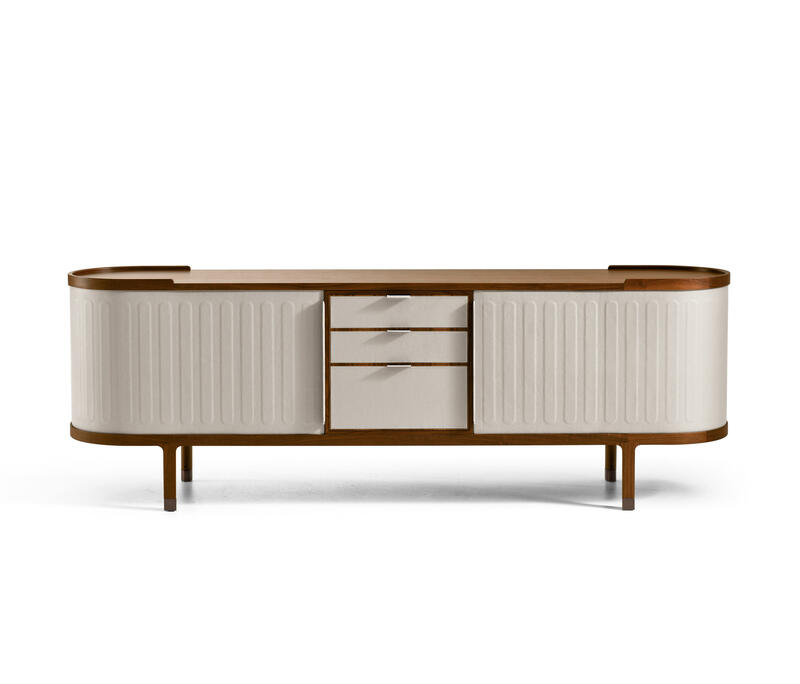 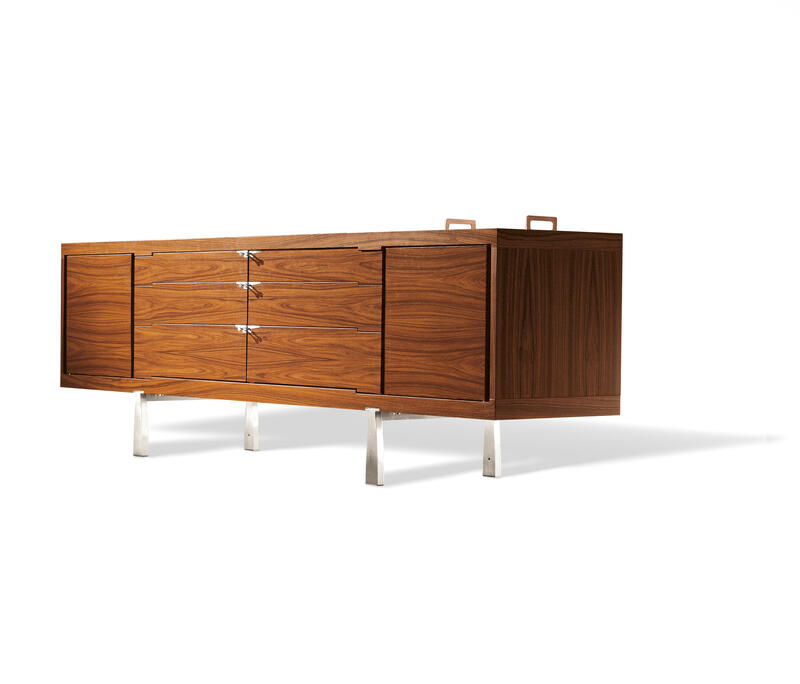 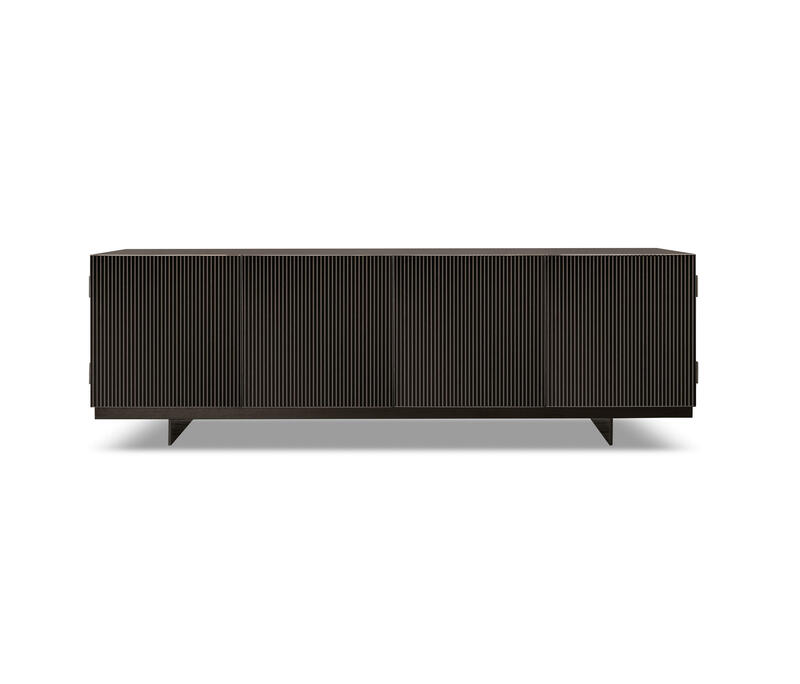 Sideboard with four doors and the structure in curved plywood with indian rosewood veneer for the external part and maple wood (fin.98) veneer for the internal part. 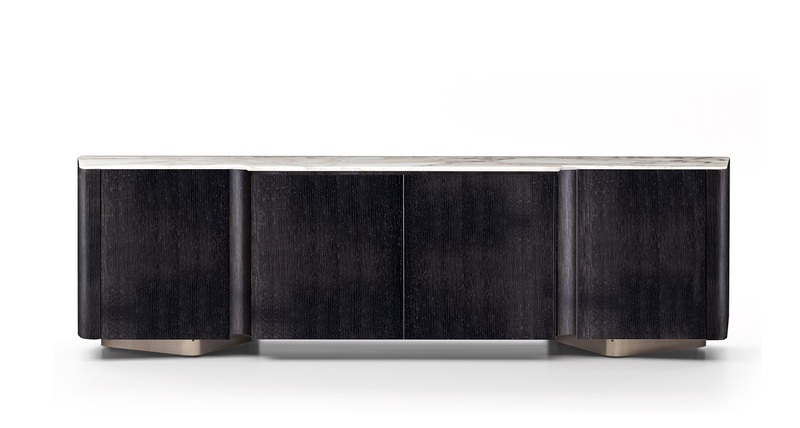 The top is in poplar plywood and solid maple wood (fin.98) with the inserts available in: - indian rosewood; - marble as follows: Rain Forest Brown, calacatta gold, Portoro, Zebrino and Velvet Brown. 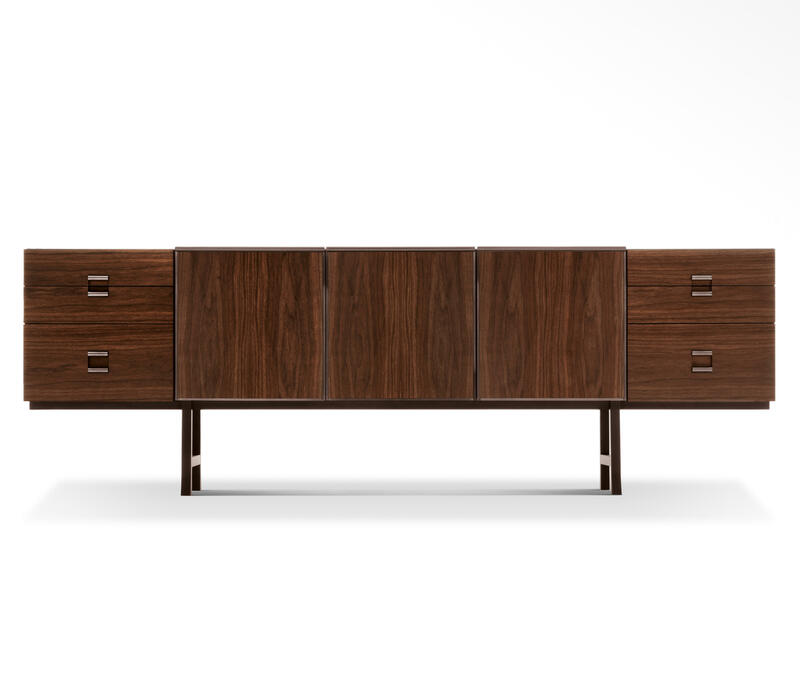 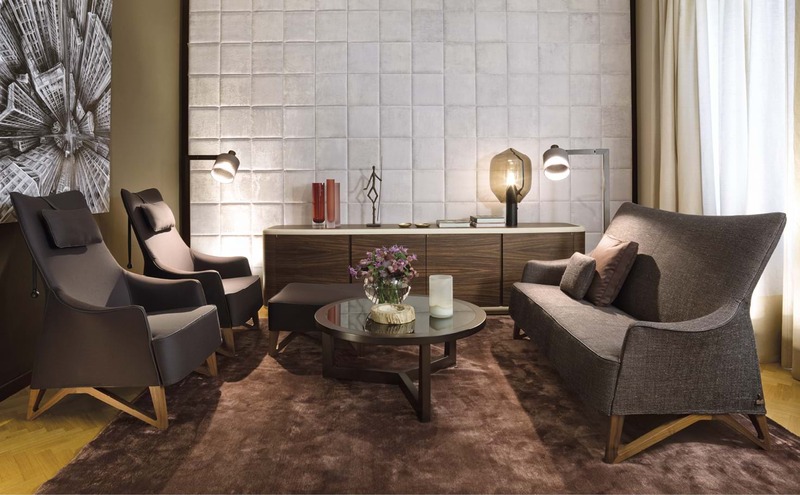 Inside each of the two central doors there is a 3-drawer chest with the frontal side in saddle leather and the completely removable drawers have recessed sliding runners and silent system closing. 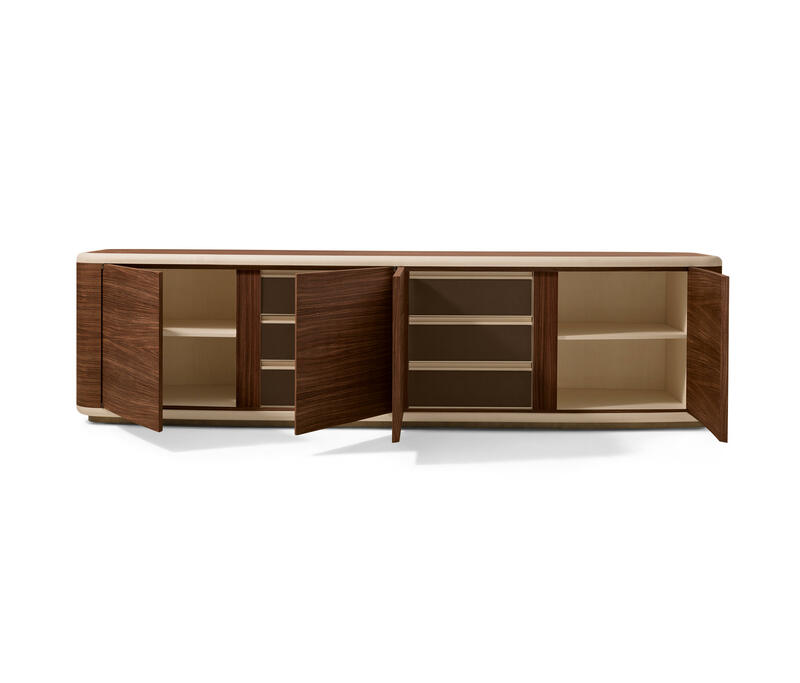 The internal shelves of the lateral doors are available in bronze tempered crystal glass or, on request, in maple (fin.98) and the internal lateral compartments have LEDs with a fading switching on and off sensor. 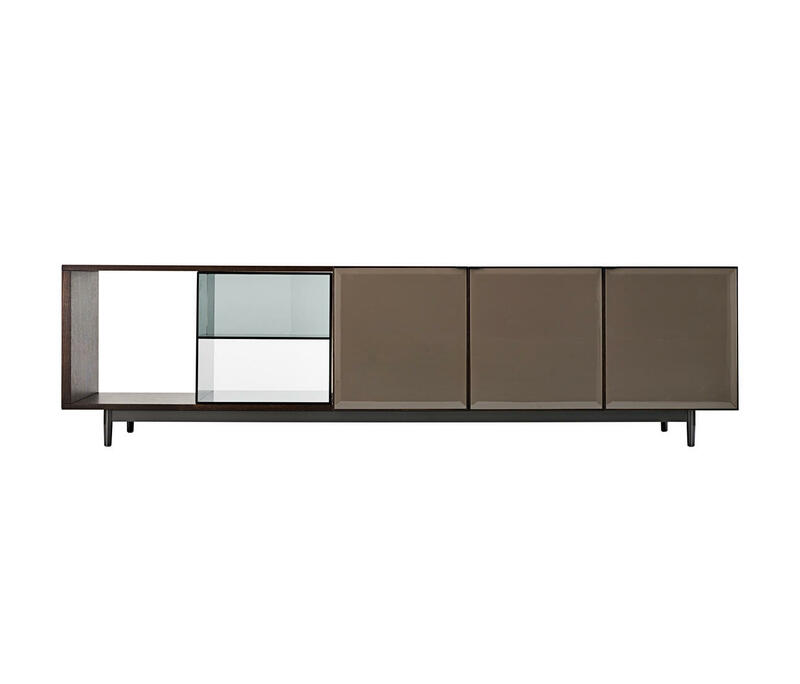 The profile of the base and the hinges are painted in a bronze colour with natural effect.